The guy behind Girls goes it alone. It’s always a bit awkward when a bandleader quits what’s obviously his band. 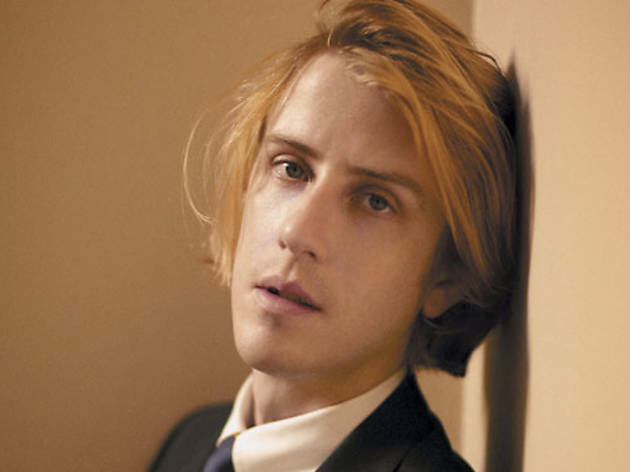 Such was the case last summer when Christopher Owens left Girls, his San Francisco–based pop group of the past five years. But Owens didn’t waste much time; by October he’d announced his solo debut, Lysandre, a delicate effort that finds him stretching out with a layered, stylistically touristic approach: “New York City” features an extended, non-ironic saxophone solo; “Riviera Rock” isn’t unlike Roxy Music attempting reggae; and the self-effacing “Love Is in the Ear of the Listener” betrays a lyrical debt to Jonathan Richman amid West Coast tones fit for the Eagles. Conceptually, the disc plays like a travelogue of the first Girls tour—“Everywhere You Knew” is about “Falling in love with you on the first tour with my band.” Yet for all the ink spilled on Owens and his utterly bizarre biography (which involves a cult, a millionaire and Ariel Pink), there’s little that’s weird about these songs. If anything, this gentle, more eclectic approach has led him to grandly rendered indie-folk where lyrics like “I always make time for love” carry no ill subtext. Owens recently unveiled the album live in San Francisco with a large backing band. In a suit and tie, the songwriter, the new face of Saint Laurent, strummed an acoustic guitar (rather than the chiming Rickenbacker he wore in Girls) and encored with a folk-pop hit parade of Cat Stevens, Donovan, Simon & Garfunkel and Bob Dylan. It may not be what the kids are listening to these days, but for Owens, who seems to have found a new comfort zone, it fits just fine.